Researchers in Sweden have succeeded in delivering an optical amplifier capable of amplifying light with extremely low noise. The study is published in the journal Nature Photonics. The Chalmers University of Technology team says its groundbreaking result gives researchers the means to boost optical fibre signals from 1 000 kilometers (km) to 4 000 km. Thanks to this development, data communications capacity is set to grow, potentially leading to improved Internet and laser radar technology. The innovative amplifier could also advance applications where detection of extremely weak levels of light is needed, like in free-space communication. With technology moving forward quickly, user demands on getting and storing information continue to escalate. The Swedish researchers say optical amplifiers are vital for enabling data communication. Their objective is to boost data signals without first converting them to electrical signals. Apart from wanting improved speed and capacity, users also want to get a high signal-to-noise ratio of the signal being transmitted. 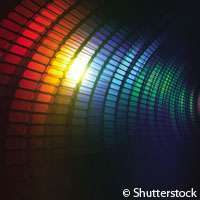 The researchers used a 'phase-sensitive fibre-optic parametric amplifier' (PSA) to cut the noise figure to one decibel (dB). Conventional erbium-doped fibre amplifiers register noise at 3 dB at best, which leads to a drop in signal integrity. The team points out that 1 dB is the lowest noise ever reported in any kind of amplifier with reasonably large signal gain. The result is a huge step forward because it isn't based on theory alone. This novel amplifier has potential for use in various applications. "This is the ultimate optical amplifier," explains Chalmers' Professor Peter Andrekson, the leader of the research. "It enables connecting cities, countries and continents more efficiently by placing the amplification hubs at much greater intervals. The signal can also be modulated more effectively. In addition, the amplifier is compatible with any modulation format, with traditional laser transmitters, and can be very broadband, making it compatible with many lasers at different wavelengths." According to the researchers, the refractive index of glass is not constant; it depends on light intensity in the fibre. They say experiments show their amplifier has a noise level of 1 dB, with a theoretical minimum of 0 dB. Basically, no noise was added in the amplification process. The Chalmers team plans to bring the amplifier to applications. "The entire optical telecom industry is our market," Professor Andrekson says. "But the technology is generic, and scalable to other wavelengths like visible or infrared light, which makes it attractive in areas such as measurements, spectroscopy, laser radar technology and any applications where detection of very weak levels of light is essential." "any applications where detection of very weak levels of light is essential." I'm guessing telescopes of all kinds are about to get a lot better.... 4x better! Nice, but how does it work? Metamaterials? Is it passive or does it need to be powered to function? A PASSIVE amplifier? Think about that for a minute. "A PASSIVE amplifier? Think about that for a minute." ... is not an amplifier. An amplifier contributes power to a signal. The Edison phonograph merely concentrates the signal in one direction.